WATERLOO, ON, Jan. 20, 2017 /CNW/ – Ctrl V today announced plans to open at least 10 new virtual reality arcade location across Canada in the next eight months. Seven months after opening, Ctrl V has already seen a fantastic response to its VR arcade and has quickly grown in popularity and size, with over 12,000 unique customers attending the Waterloo location alone. Part of its recent expansion efforts includes a four-station pilot with Landmark Cinemas and a single station location at Kitchener Public Library that is free for public use. An eight-station Ctrl V branded installation also opened up in Edmonton this past November. The Ctrl V Guelph location that is opening later this month will be the first of nine confirmed franchise locations opening up across Canada. Ctrl V arcades will be opening up in Red Deer and Calgary in February, one in Lethbridge in March, as well as many others to come. As a franchisor, Ctrl V is not only a verified member of the VRSB, but also offers a key differentiator from other arcades, having an in-house development team and proprietary software suite. This software features an accessible customer-facing user interface which allows visitors to preview, load and exit games at their own discretion. Customers can enjoy and experience VR at their own pace with ‘virtually’ no assistance required from the staff, greatly reducing labour costs compared to other arcades. In total, Ctrl V is now managing over 40 custom-built VR stations, with dozens more on the horizon. Its US counterpart, Ctrl V LLC, will also begin expansion efforts south of the Canadian border starting this year. If you are interested in franchising with Ctrl V in Canada, please send an email to franchising@ctrlv.ca. 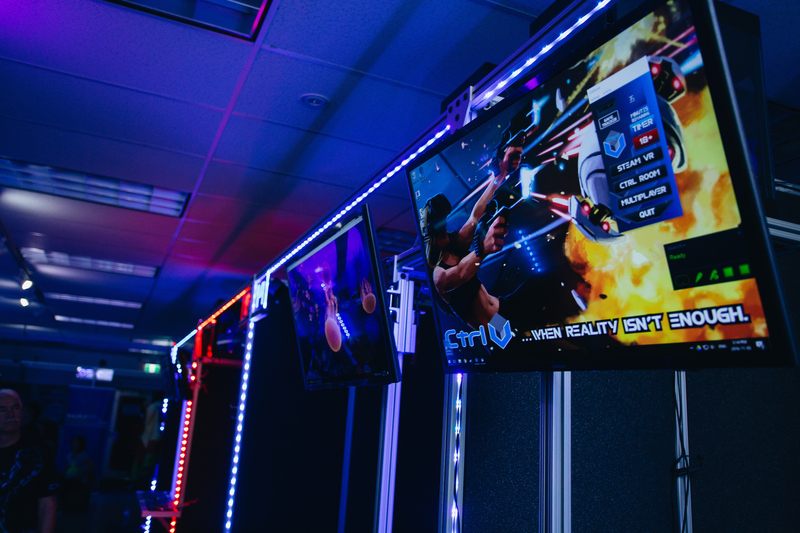 Ctrl V Inc. (“Ctrl V”) is Canada’s first virtual reality (“VR”) arcade, offering experiences in the newest frontier of entertainment and gaming. With custom-designed VR stations featuring the HTC Vive, each Ctrl V location offers high-end commercial VR experiences and a variety of different games. Visit us at our website www.ctrlv.ca for more information.